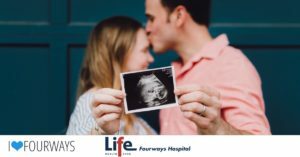 February is pregnancy education month, We at Life Fourways want to celebrate your Little Life and assist expectant parents with information about pregnancy and birth. We will be hosting tours of our maternity & Paediatric unit and will supply you with valuable information on our resident Gynaecologists and Paediatricians. We have partnered with various baby brands and services within the community to bring you all things baby in order to make this expo exciting and get you totally ready for the arrival of your sweet bundle. We will have a lucky draw and will be giving away AMAZING prizes on the day. We look forward to welcoming you to our facility and partner with you on your special journey. This expo is not related to any medical aid or Doctor, so we invite all expectant parents to join us and come see what we have to offer.